My name is Lynne. I'm 40 years old and I live in South Africa with my hubby and two small children (a 5 year old boy and a 7 year old girl). I am an alcoholic and an addict, but I am 10 years in recovery so my life is very different now. I love helping other addicts to get clean and find a new way of life. I am passionate about my kids, recovery from addiction and of course making money online. So I have a website for each of my passions. It is an amazing experience being able to work in all the niches I am passionate about. I love writing and reading too, which makes this the ideal career choice for me. I am now making a full time income online and loving the journey! Kaboutjie is in fact a nonsense word so no you won't find a translation for it. I came up with it because my husband is Afrikaans and he used to call our baby Stoute Kabouter or Kaboutertjie. Stout being naughty in Afrikaans and Kabouter can mean anything from a Leprechaun (Dutch) to a Dwarf, Pixie or Elf. So I took the word Kabouterjie and changed it to a nonsense word - Kaboutjie and made that my business name. Wow Happy Belated Birthday Lynne. I have just recently started learning how to use social media for marketing and chose Twitter to start with. I thought maybe I would write a training about Twitter while I created my account, etc. I did a search and found Twitter loaded down and most of it from you. I think maybe I need to study what you have to say. You have created some awesome content. I've got a lot to learn. Thanks for the birthday wishes Donnie :) You will figure out Twitter easily once you spend a bit of time playing around with it. Hi, Lynne, it is nice to meet you and also Happy Birthday too. I just wanted to drop by and say Hi and let you know that I am willing to help you out as much as I can. My goal I haven't met yet and that is to make a full-time income online but I am steady working it though. If you get a chance maybe you can check out my site and give me some pointer if you don't mind. I am in the middle of correcting some mistakes that I have made. And working on some new ideas and articles too. I just wanted to thank you in advance for your help. It is great to meet you and thank you for the birthday wishes :) it was a great one! I'm sure you will make your goal of making a full time income online. All it takes is some time, lots of learning and lots of hard work. Thank you I really appreciate you taking a look at my site I need some feedback on it because I have made some mistakes on duplicating content so I am fixing that right now and doing some research on some articles as well. I will PM you my URL address. And you are so very welcome it was my pleasure, Lynne. That is great no rush take your time I understand that you are busy like I said no rush. I realize now some of the mistakes that I have made but I am in the middle of fixing them now. No biggie I am still learning of course so I am not worried. You will always be learning :) I am too, every single day! Yes, that is so true we are learning every day. Thank you so much for your help. I really appreciate that so very much. And THANK YOU THANK YOU THANK YOU. May you be as blessed as you bless others. Hi Lynne, I have to say that I am really impressed with what you've been able to achieve online also your story is truly inspiring. I happened to be lurking on the live chat and saw where you said you've published over 1600 articles! As a newbie and a person that doesn't exactly have huge passion for writing, that number just seams soooo unreachable. Are there any special techniques that you use before you post new article? And regarding any special techniques - I followed the training here and I learned and I practiced. The trick is to keep learning and applying all the time. Everything you need is right here at WA! Okay that eases my mind just a little, you were right about this being a little overwhelming in the beginning LOL. Definitely going to stick with this community training if it can produce the level of success you've achieved! Eager to get back to work now. Thanks for the reply! I overcame addiction cold turkey ( as we say in the USA ) many years ago, Lynne. It can be done if you have the will power and resolve to be free of both ( if that is one's problem ). You would be amazed at how much alcohol I consumed on a weekly basis. Congratulations on your ongoing recovery. Hi Chuck, yes - me too. Had to be done. Kudos to you for doing it. All my family are dead because they didn't. Such a waste of humanity. Yes we have also had losses in our family due to addiction. It is so sad. I am sorry for your losses. Thank you, but no need, we are past that now. But the debate about addiction, of any kind, is always going to be valid for those who still struggle. Hey Lynne! How are things with you, it's been ages since I saw you active here :) Hope things are well with you and your business is growing! I'd like to ask you a quick question since I know you're a pro when it comes to Pinterest. Things are going great thanks! Just so busy! Yes you add your new account as a collaborator to the boards you want shown on your new account - I manage everything from my personal Pinterest account and only ever log into my business ones when I want to accept invites to boards! but I want to learn new skills regarding affiliate marketing and online business in general. Anyways, I just wanted to say hi and I will definitely keep in touch. Hi Richard :) Thanks for your kind words. It's always wonderful to connect with other South Africans here. It is such an amazing opportunity especially with the rate of unemployment and also the strength of our currency. Earning in USD is such a pleasure! Good for you girl! I have had life experience with addiction, recovery and misaligned mental health. Well being and support is such a good space to encompass and not without its challenges! You inspire! Thanks for you and the contribution you make! Have a solid 2019 ahead and all the best to you and your famjam! Thanks for your kind words :) There are so many people that have struggled with mental health issues, including addiction! Congrats on your successes! I just joined WA - I'm a psychotherapist currently working in addictions. I haven't struggled with addictions myself, but have battled through mental health issues myself so I understand how rewarding it can be to help others that way. If you don't mind me asking, what are your websites about? My main business is quite a broad niche of parenting/ family... anything really that moms would be interested in, including things like health, weight loss, home decor and gardening! Great to meet you and I just wanted to say hello as I’m now following you. Many congratulations on turning your life around and I admire your progress in now making a full time income from an online business. I hope I can learn from your many experiences, as my goal is to travel the world in our camper/RV/motorhome with a reasonable flow of passive income coming from my online work. Hi Lynne, how are you? i've tried to open up that pay oneer site you made the video about though its asking me for a BIC id. Do you know what that is? I can't find anything about it online and thought you may have had the same issue. awesome. your so damn helpful!!!!!! thank you again so much. this is a nifty little thingamagig to get paid from amazon. It's a pleasure :) Yeah it is nifty and sure beats waiting till you get $100 and then for the check to actually arrive!! I am inspired by your honesty and transformation and I'm sure you have already been such to many people. I'm glad you've gone full time here in WA, which is a feat in itself. I'm only 1 month and 3 days here and I see how much involved it is to be successful. You are one example that success is possible with WA. It is lovely to meet you. Congrats on getting started here, it may seem like a long time before anything happens with your online business but when you get there and you look back at the process you will be amazed at how beautifully this works! It does feel like forever - here's a post I wrote in February 2016 so just under 3 years ago..... and today I am making a full time income from my business. I'm no millionaire but my business goes from strength to strength each month! The Frustration of Waiting for Success! I went to read the above post, Lynne. I kind of expected to be at least one year to start to see something. Let's just say 5 years to full time, I'd still say way better than still working at my current job in the next 5 years. When WA becomes full time by then, it would be nice to be anywhere in the world and still get paid full pay. Then you will do great. So many people put their focus on making money. I always say forget about the money, focus on learning and on helping others. The money will fall into place when you do that! The time to do this (WA) is when you still have a stable income in order to not cram for the money. Frustration is at its peak when money is in the way. You're right, $ is inevitable anyway when the focus is in the right place. Hi lynne how im at the last 2 days of my trail. And i am almost done with lesson 1 and need to go to premuim. I am considering it. But am scared it might not work. It is a quite a bit of money. But if it is worth it its worthit. Do you think is should go for it or not? Hi Llewelyn - yes it is a lot of money, especially for us in SA with the exchange rate! However this is an investment into your future and yes it will work if you follow all the training step by step. There are so many amazing things you can do online and while many programs make lots of promises of riches and success, WA really delivers. You will need to put the work in and it won't happen overnight so you can expect to be paying for a while with no visible return, but I promise you that WA delivers and you can succeed. So yes I do recommend that you go to Premium, it is something I am more than happy to pay personally. And I am here to help you any time and answer your questions! But if you are not ready yet also remember that there is no pressure to upgrade, you can stay a starter member for as long as you like until you are ready and comfortable with upgrading. hi lynne okay i will be looking at my finances next month then ill decide. themadmancave.siterubix check my site out so far and tell me what you think. yes it is like you say its a long term investment. Hi Llewelyn :) yes it is a long term investment for sure! Thank you so much for your help we will be losing contact for a short while. But ill be back. You can always find me through my profile :) My websites are listed there. Also note that all the training that I publish here is available to starter members, so if you are interested in learning some more while you are a starter member have a browse through the training on my profile. Hi Lynne. I'm so glad to see you at the top of my feed today. What an encouragement you and your success at earning a full time income online. I hope to get there too. I've finally decided to have a go at the passion surrounding my kids' muscular dystrophy that I went through as a parent and now help those still going through it now. I'm also sober and going to meetings now for 13 years. I love the new way of life that I have found in the rooms of recovery too. That must be tough parenting children with muscular dystrophy, but you can help others and make an income at the same time. What an awesome thing to do right? Congrats on your sobriety - it is amazing to see how many members here are in recovery! Lynne, here's a Pinterest question. I have a large collection of old cards with pictures that fit my niche. Can I photograph some of these and make Pinterest pins with them, or does that constitute a copyright problem? When you make up your pins, where do you get your images? I'm not sure if it would constitute a copyright infringement but I don't think so if they are your personal cards. You don't say what type of cards they are. So when you create your own pins for Pinterest, you are using images from places like pixabay? Somehow I got the idea you used other images that you found yourself. Glad to see you doing so well on here. Can I link to an article on your website please? It's the one about cycling being good for mental health. I've just left a comment too. I'll PM you my post link to make sure you're happy with the content. It took me a moment to remember it was my addiction website I published that article on and not my main business website lol. Hi Lynn I have a pretty general question to ask you, due to your expertise and wonderful practical tutorials. Is it possible to separate each image box and add affiliate links to each? Also how do I add a Html embed code to the 3 sided brochure? Would I need to download and edit or is it possible within canva? I understand the html code is only paste-able in the TXT editor side and not otherwise. So im wondering how to embed a html in canva too? I have only ever added links to pdf's that I create in Canva but I have not done anything more than that. I wouldn't know how to embed html code using Canva or anything else. I wish I could help you more but that's all I know how to do! Maybe pop Canva a question they are very helpful from my past experience with them. Just ran upon your profile while searching for Pinterest training. If I have a question or 2 for you may I PM you? Started to follow you today and looking to hear more from you. Thanks for all your hard work here at WA. You are welcome to ask questions Markus! The easiest is if you ask the Q on the training that you are busy with :) This helps me and it helps others too! Thanks Lynne for the reply and I'll do that. I think I am the most mentioned in your blogs LOL! Thanks for the shout out! Lynne, perhaps you can assist me. I am confused about having links in my blog posts. I keep reading that you need to have content and gain authority on your site and that Amazon doesn't like you having links in your content and then I see and hear from Affiliates who do that all the time. If you could take a look at my site and give me your thoughts, I would greatly appreciate it. Also duplicate content...I don't understand that Site Content tool says my blogs on book reviews have duplicate content but the book I blogged about yesterday is mentioned no where else on my site. I quote the author in several places in the blog with quotation marks. Thoughts? Sorry for so many questions but you seem like a good person to ask. If you don't have the time I understand. I appreciate your posts and your efforts here on WA. If others wish to help I am including community help request. See my profile for my site. Links can be so confusing for lots of people when they start blogging. Yes of course you can add links to your content and also affiliate links. The trick is not to overdo it especially when you first start blogging. Adding a huge amount of outgoing links, and a huge amount of affiliate links when you first start out is not going to be appreciated by Google. That doesn't mean that you can't add links to your content. Start off with a few links and go easy on adding affiliate links in the beginning and as your website traffic starts increasing and as Google starts to trust you more you can add more links. The other thing to look at is that you want a nice ratio of incoming links (as in links from other websites to your website) as you have going out. If you have 5000 outgoing links and you only have 10 incoming links this is not good. As you build out your website and become an authority in your niche more and more people will naturally start linking to your website and then you can being linking out more. I have quite a well established website that Google likes so I add quite a lot of affiliate links to my posts. But I still do not add affiliate links to every post I write. I hope that makes sense to you and that I didn't confuse you even more. I posted my Progress report today in which I referred to you as one of the women I admire on this platform and aspire to be like in the online business world. Forgive me for not obtaining your consent prior to publication. Hi Regina :) Thanks for the mention, I am flattered. No need to ask permission. We are all trying to build a name for ourselves and to grow into an authority, mentioning me helps me to get my name out here so thank you. So kind of you. I am privileged to associate with one as successful as you on this platform. I wish you greater heights in your endeavours. I have a website issue which don't seem to be able to solve. I will take a look but your url appears to be added incorrectly, I can't access your site :) please share your url again with me and I will take a look soonest. Thanks for your honesty and sharing your story. I love how you've incorporated your passions to create online success. Family is top priority for me as well. Our 2 daughters are a little older now, but your Kaboutjie website would've been a great resource to us in the early days, as it is now for both expectant and new mothers. Thanks for sharing your knowledge with the WA community. Thanks for the compliment :) Yes isn't it amazing how we can make money while having fun doing what we know best? I think it is incredible. Excited much! Personal growth, time freedom, financial freedom. Yes absolutely, the next 6months to 1year is gonna be a great growth curve for me. Trying to learn the necessary skills from WA so I can express and present what's in my head, into a lighthearted, engaging and useful website. I'm really looking forward to the person I will develop into and the many benefits for my family. You have such a great attitude Joe and an understanding of the time and effort it will take to get to your goals. I am sure you will do great. Just shout if you need any help with anything! I understand how super-duper busy you must be Lynne. So I really do appreicate your offer. I will call out if required. Thanks heaps for your time and your kind words of encouragement. You rock!! I am busy and I might be slow to respond but I will always reply as soon as I can Joe :) Have a killer weekend! Hello Lynne. I hope you don't mind me sending you a PM but I know that you are the Pinterest guru and I have a simple question. How do I pin the Pinterest icon to my website? I was on someone else's blog and when I scrolled the Pinterest pin followed me the whole time. I want something like that so it is easy for my content to be shared to Pinterest. You need to add a social sharing plugin for people to easily share your content. I don't know which plugin has the Pinterest button that follows you though! You will have to research that and find out. I use Social Media Feather on two of my websites and its quite nice :) On another of my websites the theme comes with social features. Thank you. I will have to do some research to see if my social sharing plugin does this. If not, I will have to change it. I've been invited by a few people to pin on their group boards, I've accepted, but now I can't find those boards. Where do I look for those boards and how do I pin to them? You should be able to find those boards on your profile along with your boards? When you pin something you will get a list of boards coming up - they should be in that list? Otherwise you have been removed from those boards. Thanks Lynne! How stupid of me, I looked for their names and I just saw their board names. Hi Nicolaas :) No worries, it can take a while to get your head around Pinterest. It took me ages. Thanks for sending me the web link of what I spoke to you earlier. One last comment Lynne, for someone who is only 38 years old, I look at your picture, your eyes which are the mirror of the Soul show you possess wisdom, Spirituality way above your physical age, and I am sure you will share this with...with anybody that you meet, anyone who is open to receive your Wisdom.. It is an Honor for me to have come in contact with you. Thank You Lynne. Hi Lynne, glad to see you were so Honest to admit to those addictions. If you have any information or website to refer me to about alcohol addiction and how to overcome it. please let me know. Glad to see you are making a full time income online, but at 61 with no online experience and not even being able to create a website my journey in the online world has not been easy. Enough of my sob story, I am very happy for you for your passion and success. Lynne, you are yet one more person that I have so many things in common with (thinking about your particular niches). It is refreshing to read such honest and open words. Your story inspires me, and I look forward to seeing how you have adapted yourself here at WA. Thank you, again! Hi Lynne, love your bio. It inspired me to tell you a little further about my background that may be of interest to you. I have three daughters...all very different that are in the same age range as yourself. One of my daughters struggled with alcoholism after she got out of the Air Force. She is now recovering from breast cancer. It has been a wake up call for her and is in recovery and fighting this through. She is very creative and into writing, acting and making crafts. I am so happy I have found this opportunity with WA. I hope to build something out of it to help free me with some of creative endeavors I would like to accomplish. Best of success as you continue your journey in life with your family. Wow Judson, your mom sounds like she was a remarkable woman. I am so glad to hear that your daughter is sober, and I am so sorry to hear about her breast cancer. It is hard dealing with medical things sober, I have not had to deal with anything even close to severe as breast cancer but I was in hospital earlier this year for an ectopic pregnancy and it was incredibly hard to cope, both physically and emotionally. Thanks for connecting, it is lovely to meet you. Hi, thanks for the reply. Yes my mother was unique. That was horrible and painful what you experienced in your pregnancy, another chapter story to write about on motherhood. Hey Ali :) thanks for stopping by. I am glad you are enjoying my content! Hi i am happy & proud of u for your onlinre amazon success. U go girl rock it bsby? Can you kindly tell me how you adding content that is targeting Amazon products? Do u add content in articles or blog posts and can u kindly tell me what the difference between the 2 are? Oh hi by the way. I am Rob Vela from old New York City. Charmed to meet you. A blog post and an article is the same thing :) Here are some ways to add Amazon products and ads to your website: How To Add An Amazon Banner To Your Sidebar How To Add Amazon Ads To Your Posts Of course you will need to apply for an Amazon affiliate account before you can add these ads, plus you will need to follow the training here to be able to gain traffic to your website before you apply for you affiliate account with Amazon. i just would like to say after reading your bio that you have given me a new found inspiration. I myself am in recovery im still in the early stages however but to see that someone can turn there life around and actually make a living doing something they enjoy is an inspiration to me. my addiction has taken me to many places i wish i hadent gone i have a record now and it makes it verry difficult to find jobs that pay more than minimum wage if i can even find one of those despite all my qualifications. The more i am on here the more this place just feels right like i found the missing piece of my life i have been searching for all along a new found meaning and purpose for my life. Thank you for sharing your story with us and best reguards. Thanks for connecting and I am so sorry to hear about your record, that really is unfortunate. However don't let that get you down or hold you back for one minute. You are in recovery now, early or not, and you can make the changes you need in your life. You are so fortunate to have found this platform, for me it has been so much more than just a place to learn - the community is so amazing and supportive. It feels like home. Send me your email address, I would love to send you the ebook I wrote. Hi Lynne. I'm still pretty new at this despite having been a member for a while. You are an inspiration - both your bio and your training. May I ask what may be a really silly question. What is the best way to choose a wordpress theme for a website - what should I look for? Is there a theme that is a good "universal" fit? There are so many I'm lost for choice. And you had to pick something that I am not very good at? Honestly I am not the best person to ask about choosing themes! No worries at all. I'll put it out there and see what happens - I like the simple and pretty too. Thanks heaps. I followed your training on "how to add WA banner to sidebar"
I can't understand how the paste would be disabled, that is so strange! I see your message came in 40 minutes ago... are you still struggling? Are you trying to paste using right click on your mouse? Have you tried crtl v? How strange! I hope it comes right soon. I get so annoyed when funny little things happen while I am trying to work. It drives me batty! Oh my word I never use Internet Explorer.... I am glad you got it sorted out :) I'm glad too that you like my accent. Hi Lynne -- I think we met on the chat area, and I just left you a comment on your latest blog post -- I think it was a March 18th date? It didn't have any comments and it was a great post, and my comments were the truth... So I applaud you for your recovery and know what it took, as my ex-husband went through that as well. Anyway, it's great to meet you here! Thanks for the comment Amy, I just saw that came in :) That website is more of a hobby for me than anything else - a place where I can share the things that I have learned being in recovery and getting clean. It must have been tough for you and your ex husband but I am glad to hear that he is now in recovery! Honest and open! Great bio. So nice to meet you Lynne. Thank you for all that you do. You have helped me tremendously. Some days the mountain seems really high and steep but your trainings and your time have helped me. I truly do thank you from the bottom of my heart. Jill you will catch on so quickly, yes in the beginning it can seem overwhelming but you will get there. Just take one thing at a time and tackle it. I like your bio. I am one of you also! Took my last drink & drug on 8/2/11 coming up on 7 years! I love working with others as well and being of service to my fellows. We can't keep what we have unless we give it away! I apply that principal to business and life and it works! It's nice to see that even here at WA we are NOT alone! Hi Chris we are so not alone here at WA, I can't even count the amount of people in the fellowship I have connected with here :) I love seeing so many fellow addicts here making a difference to their lives. Being a part of this community has even strengthened my recovery which has blown my mind away. Howdy Lynne, hope you are well. I am having problems placing my affiliate add links in the positions I want them. When I put them in my blog side bar the got to the top left or in the footer and nowhere in between. I have asked numerous questions on the chat room and have only gotten non relevant replies or links to vids that are not relevant. Been working on this for a while, seems like I am missing something big. Here's a video I found that may help you: Add Affiliate Links to Sidebar in 30 seconds. 1 - I lived in South Africa, farming in the Free State, for several years. 2 - I am also an alcoholic, been dry since August 2009, apart from a small relapse a few years later, which convinced me that alcohol is definitely the last thing I want to go back to. I found that the hardest thing to do for someone who wants to quit drinking is to admit that he/she is an alcoholic. I cured my habit by attending several AA meetings (in Bloemfontein in fact). This was my hardest first step to recovery, I registered many times and never went to the meetings, till that very evening of August 2009, when I told myself that enough was enough, there is nothing to be ashamed of to be an alcoholic, it is a sickness like any other, and there is a cure for it. If I had to miss that very meeting, again, I would be dead long before now, considering the amount of alcohol I was consuming daily. I was permanently drunk, day and night. I hope my message here will help others, and I must congratulate you Lynne for having taken the first step and for having the courage to quit. Not easy! My apologies for using your space for such a long comment. P.S. I have posted a comment on your website and shared it socially. So your clean date is August 2009? Mine is August 2008 :) I can't believe that it will be 10 years this year! I hope you are enjoying France :) I went there once in 1996 but I don't remember much since I was blotto most of the time! Farming in the Free State is not exactly safe anymore, so I am sure it was great when you were here but chances are things have changed a lot since then! Thanks for your response Lynne. That's right, it is not safe anymore to be farming in South Africa, We left because we were fed up going to funerals of neighbours and friends who were murdered for no reason. I hope that you are safe where you are and we sincerely hope that some day everything will come right again as we have so many friends there. Such a beautiful country! I'm quite safe thanks John, I am in Saldanha. My parents are on a farm in Swellendam which is much safer since it is in the Western Cape but I still worry about them so much! I am coming up on three years, July 27 AGAIN! I have been in the program since 1986. Unfortunately, I have relapsed several times over the years but, "fall down seven times, get up eight. Congrats on your clean time that is awesome :) It is always great to connect with others in recovery and I have found so many people in WA connecting with me that are also in the program. I'm not here to judge about relapsing, each person has their own path to follow. The most important thing is that you get back up! What are your weather conditions in South Africa today? We just narrowly missed a winter storm here, but still got a fair bit of snow, and still coming down. I see my two horses from my office window, and they are feeling a bit spunky. They love this mild snow, close to zero temps. Roads are closed this morning because we got freezing rain last night and then the snow. It was weird, we had thunder, lightening and snow coming down! But winter will be here soon, summer is basically over and March is the beginning of Autumn. I've never even been in snow before. I so want to do that still. Its on my bucket list. Hubby and I are planning a trip in winter to an area a few hours away that gets snow sometimes in winter, we want to build snowmen with our kids. Ahhh a beach, that sounds so nice :) I told my husband that I was very tempted to make a snowman today, as the snow is perfect for it right now. He just smiled and said 'go for it, as long as I don't have to". I haven't made a snowman since my children were small. Good morning Lynne, I just noticed the subject of muffins came up in live chat. I have a tip for you...Lynne, I tried my favorite pancake recipe yesterday, by baking them in muffin pans instead. Turned out great! Pancakes in muffin shape, store in fridge and just gently warm them up when you want to eat them. I make gluten free muffins but they are more Paleo than anything, high in protein. We had some for breakfast this morning with a little maple syrup drizzled on top. Hi Everyone, just to let you know that Lynne is in Hospital recovering from an operation and will be back to serve and assist the community as soon as possible. Congratulations on your success, that's great news. Hope you don't mind me asking but I've wanted to start using Fiverr for a while but didn't really know how to get started or what to do. Probably me over complicating it. Do you have any thoughts? My best suggestion would be for you to check out the top ranking gigs for the type of services you want to offer and see how they have set out their gigs and pricing. That will give you an idea of what works well - so you can use that as a base for setting up your gigs - as inspiration but don't copy their gigs exactly of course. Try and add something unique to what you offer so you stand out. Thanks for the great tips. Will definatly try that and give it a shot. Any time Steven and good luck!! Your site is very new so it is not easy to review and give feedback. The main thing you need to do is continue with the training and add content. THANK YOU, LYNNE... YOU MADE MY YEAR!!! Your suggestions continue to make me money!! From Website Testing to Guest Posts on Fiverr to Contributed Posts ... My First 100 Dollar Day! YOU ROCK!! It can be done and you will do it, I know that for a fact. It has been awesome sharing tips and info with you! We still have to meet for real next time I make it into Cape Town! Hey LynneHuy, I was unsure whether my website would support a mobile phone and you sent me a great link a few moments ago so thankyou! I will have been sober/clean for 6 months in two days and it's always inspiring to hear stories such as yours. Thankyou and I wish you all the best. Just followed you. Welcome to WA Joseph - I see from your profile you are really enjoying it here and learning at a great pace :) That is awesome. I promise you that there are good things coming if you work hard and stick with learning everything you can here. Congrats on your clean time,that is brilliant! I know exactly what you mean, this community has changed my life in more ways than I can count. Yes I am earning a full time income but the communication with like-minded people on a regular basis keeps my glass full if you know what I mean? Congrats one day at a time. Nice to hear you are doing so well online. I have been working at the online process, seriously, for over a year now. I have made some progress but have not made any $$, just yet. A lot of training. Continued success and congrats to you and the family. Just know that if you keep at it, then it will happen. Sometimes progress is slow but everything you do is building on foundation of your business! Perhaps get some feedback from the community on your website and perhaps you will find some great feedback helps you to move forward with regards to making some income? Lynne, I am so impressed by the work that you have done on your websites and in your personal life! I joined in January of this year, got my website up and running by April, but had to devote my late spring and summer months finishing up my last year as owner and operator of my Pet Hotel. I finally 'retired' after 23 years of working with dogs, cats and their owners. I now have lots of time to spend here and working on my website. I will use your story as inspiration for myself to keep going! Congrats on making the change Marilyn :) That is so exciting. If I can inspire you to work hard and make your business work then my job is done for today. I'm pleased to meet you. So happy to hear that you've found the path to a healthy and happy life. You are amazingly strong and I admire your determination. I'm following you now!! Wish you the very best in life. Keep going with your awsome success in private and in business! It is lovely to meet you Pernilla. I hope you are enjoying your journey here at Wealthy Affiliate. If you need help with anything let me know! Yes, I love it here at WA! How nice that you've been in Switzerland. I have never visited South Africa, but it's for sure on my "must-see-places" list! Had a look at your websites. You are very productive! They all look very good an professional! I surely can learn a lot from you. Please, let me know if you need any help as well. Thanks for the compliments :) yes I have learned how to be quite productive in the last few years and I am loving it. hi Lynne, thank you for your honest share. It's lovely meeting you and following your journey here. I'm living in Aus now, but hail from Africa myself - Rhodies -> SA -> Ireland -> Oz. Where in SA are you? I wish you every success in everything. I loved Australia when I visited there for a few weeks in 1999 :) I am in Saldanha, its small but we are on the beach so it is beautiful. It is inspring to see peeps like you who is able to conquer the inner mountain. It is great to meet you Steve. I am loving it and living it! Very nice. People like you encourage me to continue and never doubt. I am very touched by your description here and I always want to visit south Africa, maybe one day i'll go visit when I start making money online. Well I wish you the best . Keep up the good work. I'm a recovering addict of five years, thought I haven't even touched on that subject yet. My first website is all about Crohn's disease and eating healthy. I know the addiction issue will be a part of that at some point. Anyway, great job staying sober!! You're an inspiration for a lot of people out there! I also love the fact that you're making a living full-time online, I knew it was possible!!! I'm also an avid reader and enjoy writing. Hey Sean :) Thanks and congrats on your recovery that is awesome! There are loads of addicts and alcoholics here at WA, many of them are under the radar though and contacted me because I have been open in my profile. It is so great to be able to connect with other addicts here. Oh yes it is so possible to make a full time income online and it is so much fun too. It comes with so much freedom and that is what I enjoy about it. If you are a reader and a writer you will fly with this! I too am all about the freedom! Oh yeah, I believe almost everyone has been addicted to something before, even if it's food or shopping! It's a subject many can relate to, and being open and honest about it really helps folks out, even if they don't admit it. We're all on our own path anyway. Thanks for the encouragement, I'll be in touch! Oh yes! I am so with you on that belief. You must see my mom play solitaire on the computer hahaha. Its like she becomes a zombie! Yes drop me a message any time :) I am happy to help. "Most people’s goals are completely logical. They don’t require much imagination. They certainly don’t require faith, luck, magic or miracles." Hi Lynne, really enjoyed the youtube video I found as soon as I spelled your name correctly. I am an overweight Banter and if you get a comment on a pimple, who knows what will come my way, but I am determined to do Youtube. My first video try of a Banting recipe was fantastic, just filmed in portrait not landscape hehehe. BTW the decaff coffee thing was probably due to the chemicals they use to create normal decaf coffee. you have to look for Swiss water method decaf?? I don't drink coffee or tea. Very blown away, how on earth do you manage 100 000 subscribers on one website and still have time for everything else. I only have 316 Youtube subscribers! Sorry Lynne, thanks for info on websites. :) LOL no problem Rose, you will be swinging with all the online jargon soon I'm sure! WOW!!! WOW!!! WOW!!! I’m actually speechless which is a rare thing for me. I can’t say anymore at this time. I can’t see the screen for the tears. Yes, Men do cry and I’m not ashamed. It’s a way to wash away the sorrow I have for you.You are so,F**kING, brave. I’m so proud of you as my new, best, friend. P.S. Had to clean it up. I was rejected earlier. Luther thank you... yeah WA doesn't like the F-bomb at all, me with my potty mouth figured that out a long time ago. I have to keep my language clean here. No F-bombs allowed. I'm glad you enjoyed the ebook! I don't use the F-bomb very often but after reading your book, I wanted to feel closer and accepted. Also, in view of the scenes I had been walking through, with you, I thought it was appropriate to express what I felt about you. Not sure what I'm feeling, reading this, Maybe despair and sorrow for you at the time that was happening. Now, I feel joy and hope flooding you life. You have come a long way and I couldn't be happier.... Roll on! It's not like addicts and dealers sitting in crack houses mind their P's and Q's haha. I'm getting pretty put-out with trying to upgrade my site. I need some help with the home-page with pick, etc. I changed themes also. I want to replace the pic that came with it. the content is not arranged with the menu. ?? Lynne, Happy to meet you, again. This is my second time around. I came back primarily because of you and the many words I've read from you. I remember you from the first time and I know you are a brilliant lady, so I will be following you and asking questions. If you have time, please respond. Oh you are back :) That is great news! I really do believe in this program. Yes I will always respond as fast as I can and I do try and log in daily. I know; I can count on you to be there. Thanks, it's encouraging to know that. First I would like to applaud you on your 8 years of recovery. I work in the mental health field with veterans and I see addiction on a daily basis. This is my first go around with WA and I am also trying to make this my full time job, so I cam stay home with my 17 month old little boy. I am just weary on how the making money part works. Can you give me some insight on this part? Please and thank you. Well the amazing thing is that my addiction blog is earning an income and I barely even have time to post on it since I am so busy with my mommy blog. It is not a huge income but I can only imagine that if I had to spend a good amount of time on that website I can easily turn that into a full time income too. Hi, Lynne. I just watched your training video on add images in WP and heard from your accent that u are from South Africa and see it is confirmed when I read your bio. It is fantastic that u have been in recovery for so long. I am from Port Elizabeth but am living in the USA for now. All my family is still in South Africa. Anyway just wanted to say thank you and if u don't mind I would like to follow u, being a fellow South African. How's it living in the USA? Must be quite the circus with Trump? Haha yes well we have Zuma right? I'm not even going to comment on that. I could never leave South Africa, I love it here and I could never take my kids away from Granny, Grandpa, Ouma and Oupa. Yes Biltong is the best :) And braais in summer, love it! One day at a time is the only way to go, adversity sometimes reveals who we really are inside and each of us has the capacity for greatness. Congratulations on your triumphs and kudos for being honest enough to be a shining beacon of hope to others who may not have found their true path yet. Thanks Steven :) It is great to connect with you and I love sharing my story in the hopes that it helps someone else! The journey has been incredible and very exciting. How are you and your family doing? I am also an alcoholic and compulsive gambler. Wonder why I've never been married or had a single girlfriend or dating partner in my whole life. Ah, hell, Lynne, what difference does it make now? My severe kidney disease will insure a very quick and painless death. Hi Craig. We are all well thanks. I hope you are clean from your addictions at the moment? Trish it is lovely to meet you. Yes WA works in any country because WA shows you how to set up your own business step by step :) I have 3 websites and each one is earning an income. The best part is that the majority of my income is USD... so honestly you don't need to make much in USD to make a really good income here in SA! Hi Lynne, you were kind enough to leave a comment on my Forex site the other day. As a result of some of what you said I created another post. I am not chasing comments, just thought you might like to read it. Hey Gordon :) Thanks for connecting, I will check it out as soon as I can. I'll be asking 100's of questions once I'm into it completely as its all little terrifying lol. 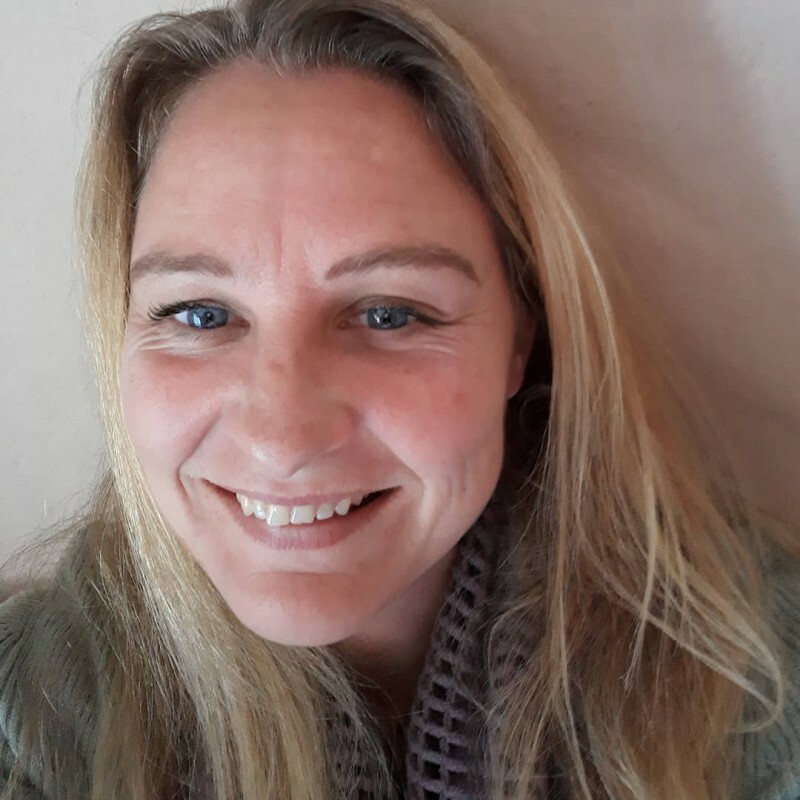 Hi Lynn - gosh we sound like the same person - I am also from South Africa, living in recovery - also sober 8 years ... well actually 8 years, 4 months and 22 days ... but whose counting ... ME ... have similar passions ... well let's hope I can be as successful as you in affiliate marketing - nice to connect ... where in SA do you live? Oh wow it is lovely to meet you Laurie! My sober date is 02 August 2008, when is yours? It must be damn close right? I live in Saldanha Bay now, but I was born and lived in Cape Town all my life. Oh dear, I am such a dreamer, and I love it! It's wonderful that you are past your addictions, that must have taken superhuman strength! BRAVO! You seem to have accomplished so much here, I hope you won't mind me "pestering" you with a million questions! LOL ...no, don't worry, I won't be a pest, but I do hope you won't mind me stopping by for advice! You are welcome to ask me questions any time! I have been busy trying to incorporate an opt-in page. Finally, I did it. While updating all my posts and pages, I notice that your video that I embedded is no longer available. The SmashFund Review video. BTW, do you mind checking up my opt-in form and see if it works? It require you to sign-up for 7 days course. Here is my new video, yes the third one! Sorry about that but I had to remove it. And damn your opt in form is pretty damn sweet. I need to hire you to make mine look like that! The opt in form is the feature from GetResponse.com that I love. You can design any form with it. You should get it if you haven't use any autoresponder yet. How are the email series that you are receiving? Are they properly send to you? Oh dear, I wasn't looking out for them and haven't seen anything yet. I will check my spam and let you know! Oh there we go, one in spam and the rest well I only just opened my email now. I read all your blogs: you are very knowledged. I learn from you. Thank you. Do you have a practical advise for me? Do you have specific training on how to set a blog for that purpose? Dear Lynne, I've recently followed you in WA. Congrats on starting your website that it awesome! Well that is more than one question, so let me deal with each part separately. The thing here is to be consistent with posting new content. Yes as often as possible is great but make sure you can keep up that routine. The best is to publish 2-3 posts per week. How long should posts be? Aim for 1000+ words per post. You might not be able to manage such long posts in the beginning and that is just fine, try your best and you will writing becomes easier and easier as you go. This is really important. Maybe you can write 1000 word posts and maybe you can write 2-3 times a week... but what quality are these posts? Quality is really important for a lot of reasons. Your readers won't stay long on your website if your posts are not quality. Google won't rank your content well if your content is not quality. So if you can write a QUALITY 500 word post once a week that is better than writing 3 non-quality posts in a week. To writing about different foot problems and offering different products! This is exactly what you want to do. The more products you review and recommend the more chance you have of making sales. Follow the training, it is set up beautifully step by step with tasks at the end of each lesson. If you do this you will learn everything you need to know about working online. That was funny as to your response because I had to go back and see how I had posed the question and you are right I did say one question. Anyway I do want to thank you for your quick response and for answering all my questions. I now know that there is alot of work to do and big challange for me because writing takes me a long time to write and be creative. I am aware that for most of us this is not easy and thank you again and continued success. Oh yes, this will take work! But it will be well worth it in the end. WOW do we have things in common. I started taking drugs when I was 11 and finally quiet when I was 29 which was surprisingly easy. Alcohol was always in the picture, my father gave me my first drink when I was 5 and has been my friend up to about 6 months ago when my body started to break down. Now I can actually see the lite at the end of the tunnel but know that I have to watch myself every second of the day! I was checking out another Internet Marketing Program on line that promised you the world in 3 months so I googled it & found out it was a SCAM but in return the guy that wrote the scam article redirected me to WA and I’m so glad he did. I REALLY LIKE WHAT I SEE!!!! I’m looking forward to working with WA & the Community to make WA my full time job. Saying that I have no previous IM experience, I’m very excited to see where this JOURNEY will take me!!!! Lovely to meet you Stephan! I have been with WA for nearly a year and I've been working online for 4 years. WA is the place to be for sure. You will learn loads here and make great friends too in the process. Congrats on your clean time! I think the hardest part is just admitting to oneself how bad the problem is, from there on getting clean is the easier part. Welcome and I look forward to watching your progress here. Lynne, it is so refreshing of you to "bare your sole" on your site. My husband is also an alcoholic, with many years sober. He, like you, talks about it freely and welcomes questions. I am extremely proud of both of you for owning your issues and seeing the need to repair them. It's not easy, and you are to be commended. Hats off to you! I am glad to hear your husband is sober, it must have been terribly hard for you when he was drinking! Oh yes I find life so much easier just sharing my stuff. It make me happy and helps others! I was just checking through the list of people that are following me and found that I have neglected to follow you back, I have done so now. Please accept my humble apology. I hope it is going well for you and your earnings are increasing. I realize that being a survivor of addiction is a day to day thing but I am sooooooo glad that you have been able get back on track and be an amazing mom/wife to your family. Good bless and all the best to you and your family. But thank you for the follow. Well, thing is, I want to follow everyone who follows me but sometimes I get sidetracked. Following those who follow me gives me a bit more incite into who/how they are. It helps us to know each other better as a community. Great Reading about your explanation about Autoresponders. I just wanted to know when you send Newsletters to your Subscribers What mail Id will appear when your subscribers get mails from you..
eg If your mail Id is lynne@gmail.com will subscribers see like this. Should mail ids look professional? What do you recommend? & How to have a professional mail Id.? I am asking this because I am thinking of starting Email marketing.Since you have recommended that it should be done. & also your advice will be helpful to the entire WA community who do not know much about Autoresponders.. I have just replied to your PM on this. Yes I would keep it professional for sure. I have an email for each of my websites, but I have all my mail forwarded to my main email and I use that one to reply to any responses. You can set up your personal email for each website here in WA and also the forwarding which makes everything so easy! Hi Lynne,I'm sorry it's taken me so long to reply,but between troubles I was learning to overcome with my site. And the various trouble my two grown and married boys keep bringing my way, I've been kind of busy. Anyhow,thanks for the follow and I'm following you as well! Lovely to connect with you! Hope your problems with your boys get sorted out. I noticed that you left a list of signature urls and links at the end of your post. Last month I had my write access revoked 2x and still don't know exactly why but I was told it was for self promotion and all I did was leave a link to my inspirational video site, thinking everyone would get blessed by going there. Did you ever get called on this? Heya. Well those links are to connect personally with people here... not to promote my websites. Perhaps I should see about whether that is allowed or not and maybe remove them! Hey JD. It's looking great... just one thing: where is your blog roll? Call me dumb but I couldn't find it. Also you don't have any comments that I can see, it would be great to get some comments on your website. hi Lynne, Sorry to hear that you are having issues with the retail side. I had a very quick look at your website and it look great. Regarding your suppliers, they need to understand that you are the client. I would love to chat further and if you're willing pick your brain regarding retail as I am thinking that will be the way forward for me. And I'm not sorry by the way, I am happy and free. Blogging is what I have a passion for now. Hi Lynne! I am in the middle of a general brain freeze with a side of writer's block lately so I decided to spend some time in the community looking for a spark of motivation. While surfing around I stumbled onto one of your blogs which I liked so much that I began reading more and visited a couple of your websites. Lovely to connect with you and I am so sorry to hear about your first husband. Addict is truly ugly! Thank you for the comment! Glad I could inspire you with my websites :) What exactly are you struggling with? Perhaps tell me what you've been writing about and maybe I can throw some ideas around? Hello, Lynne, You are amazing! I checked out the http://lynnelivingwithaddiction.com website and can't believe How far you have come. Then, I looked at http://smallonlinebusinessopportunity.com. I have never seen a better laid-out site and all the information on it. I can't believe you aren't making money on that site. If not, then, I can never hope to make any money, I am so far inferior in building sites. All I can say is "You Go, Girl." You deserve all you ever earn. P.S. In my lessons, I'm supposed to give two comments on someone's site and get two in return. Would you, please look at my site and make a little comment? Thank you in advance. Hello Lynne ... thank you for the follow. I admire your spirit for life. Has any one ever commented that you look a lot like Helen Hunt? Google her and you will see yourself looking back at you :-). You've come a long way since joining WA less than a year ago ... my guess is you hit the bricks running with your previous blogging and site building experience. LOL yes I have been told that :) Thanks for connecting with me! Good morning thanks for the follow nice to see yo again. You have a beautiful daughter just like her mom. Your dreams will soon become your reality. Dream BIG sky is the limit reach for the stars theirs no stopping you. you are in the right place at the right time success is yours for the taking. I can here success calling your name can you. Gods willing we will make it see you at the top. You are very much welcome. Have a good day. Thanks Louie, I'll definitely check out your blogs and training thank you! Congratulations Lynne on your achievements. I am in the very early stages of Bootcamp. Attempting to complete my foundation pages of my first site. I have a long road ahead, but with the support of WA, I know that soon I will have my website up up and running. My goal is to start with promoting WA. I will follow you in the community. Surrounding myself with people that achieve success and helping those that I can, will help me find my way. How exciting! I can't wait to see what you achieve! Thanks Johan :) Enjoy the training, it is top notch!